Slated for release in October — just in time for the New York Comic Con — the 64-page magazine will only be available via Kickstarter and at cons. Charlie McElvy, the creator of the RPG WatchGuard, will create a Golden Guard RPG using the Mutants and Masterminds gaming system. 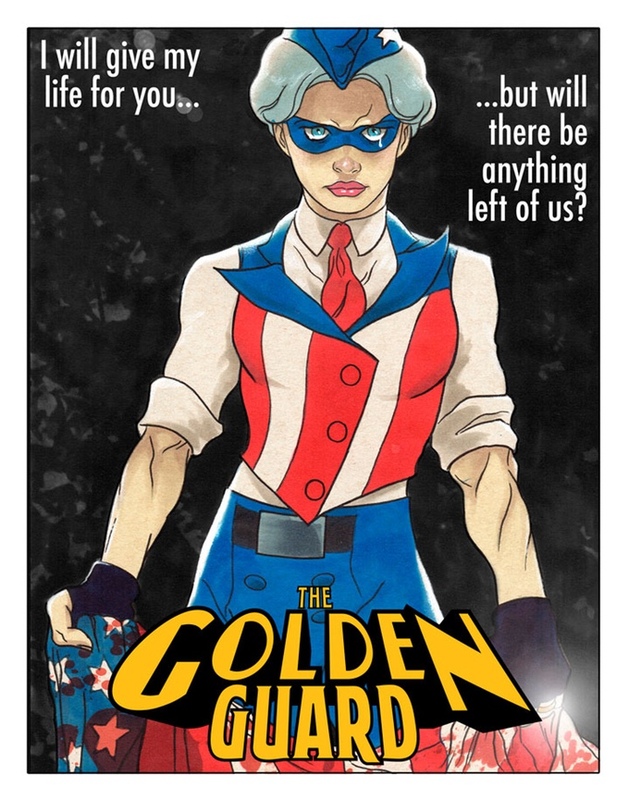 The Golden Guard is about a Golden Age team that finds themselves transported to today and what they see and learn about the modern world shocks them to their collective core. The American dream is dying. Black men are being killed by police. Persecution of gay men and women. Sexism. Racism. Islamophobia. And the question they need to ask themselves is, “Do we go back to change the world for the better or do we accept the world for what it is and change it now?” Somewhat political, but definitely thought provoking, The Golden Guard is not your typical superhero comic. For more information, check out the Kickstarter page or the project’s Facebook page.